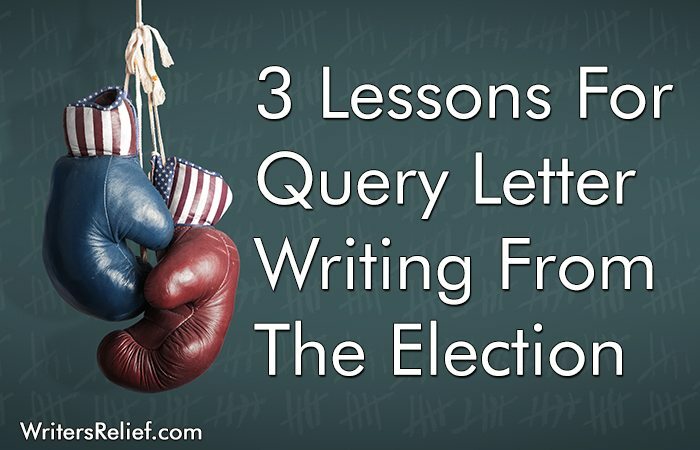 3 Lessons For Query Letter Writing From The Election - Writer's Relief, Inc.
As election day draws near, the candidates will (we hope!) be trying to make a good impression on voters. They’ll want to appear professional and informed. In the same way, your query letter should be polished and professional. Don’t use glaring colors or in-your-face fonts to try to get attention—the only kind of attention this will get you is bad. And you don’t want to annoy literary agents before they’ve read a single word of your letter! This may be your only chance to make a good first impression, so your sentence structure, spelling, and grammar should be exemplary and above reproach. Have your most persnickety grammar geek friend or writing group member proofread your query letter, or hire a proofreading professional. Each candidate will spend a lot of time telling you where they stand on a multitude of political topics. You’ll choose who you vote for based on which platform best matches your ideals. When deciding which literary agents you’ll send your query to, it’s also necessary to research and know what the agent represents. To find the right agents to query, you’ll have to spend many hours doing online searches and checking literary agent listings. You’ll need to track down the answers to important questions: What genre does the agent specialize in; does the agent have any experience with your type of writing; is the agent an independent or part of an agency; what does the literary agent expect in a query; and more. If you’d rather spend your time writing instead of researching literary agents, do what the candidates do—consult an expert! Writer’s Relief has over twenty-two years of experience and can help you target the literary agents who would be most likely to be interested in your book. And unlike the typical, never-ending flow of political rhetoric, with Writer’s Relief, there’s no submission spam—ever. If there’s one thing political candidates know how to do, it’s self-promote! They’re front and center, shaking hands, talking about their experience, and kissing babies. The author bio section of your query letter is where you should do the same. You don’t have to smooch any crying infants, but don’t be shy about singing your own praises! Include publishing credits, conferences you’ve attended, and any writing groups you belong to, since these all promote your skill and dedication as a writer. And yes, you should name-drop any prestigious schools you’ve graduated from or authors you’ve studied with. If you have a hobby or profession that is also central to your story, be sure to mention this as well. If your setting is ancient Egypt and you’re an archeologist, or the protagonist is a scuba diver and you’ve been deep-sea diving for years, these facts will show literary agents you know what you’re writing about. By following these tips when writing your query letter, you’ll increase your odds of getting more “yes” votes from literary agents. And when an agent asks to see more pages (or the whole manuscript! )—you’ll definitely feel like a winner! QUESTION: Are there any other lessons from the election that apply to query letter writing?